On December 13, 1637, the earliest regiments of the United States National Guard were assembled in the Massachusetts Bay Colony around the present-day cities of Salem and Boston, Massachusetts. The United States National Guard traces its roots to regiments from the Massachusetts Bay Colony, which mustered to strengthen the colony's defense against the indigenous Pequot people. On December 13, 1637, regiments of what would become the United States National Guard were assembled in the Massachusetts Bay Colony. The National Guard is a reserve component of the U.S. military. Most members of the National Guard serve part-time, with the traditional service requirement being “one weekend a month, two weeks a year.” Some members, such as pilots, serve more often. National Guard troops are often called up to serve as disaster response teams during floods, tornadoes, or hurricanes. 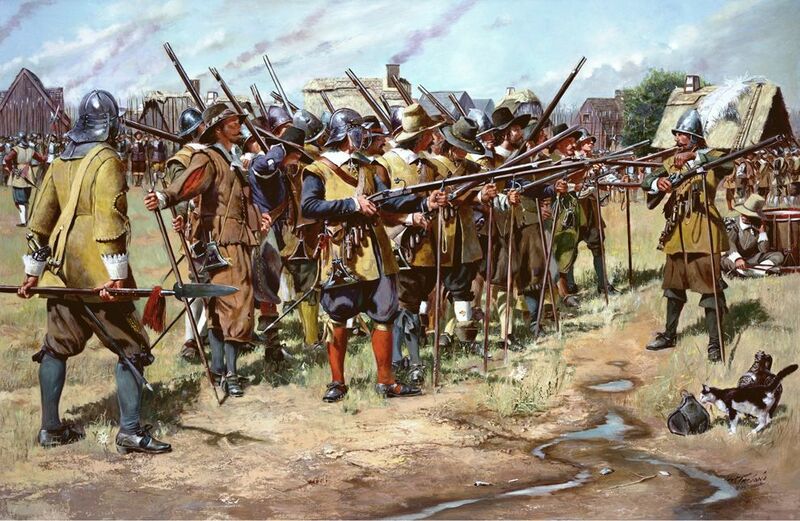 The first “national guard” were militias from different communities in the Massachusetts Bay Colony. Colony leaders assembled the groups to strengthen their defenses against the indigenous Pequot people. procedures and actions taken after a natural or man-made incident causes loss of life, livelihood, or property. people and culture native to what is today the U.S. state of Connecticut. not habitually used, but quickly available.